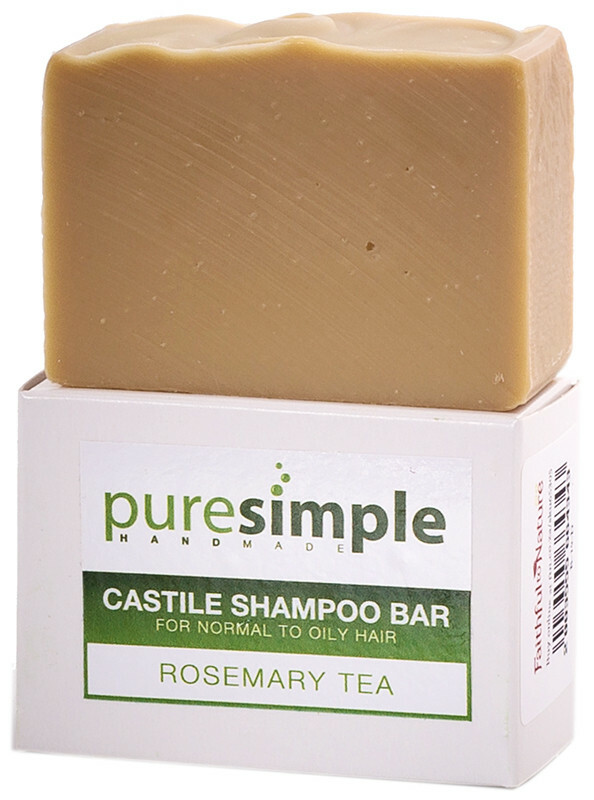 Pure Simple Shampoo Bar Rosemary Tea is a totally plastic free solid bar shampoo to care for normal to oily hair and scalp. The Shampoo Bar Rosemary Tea is 100% natural and made with only plant based ingredients like olive oil, juniper, rosemary and sandalwood essential oils. Care for your hair with Shampoo Bar Rosemary Tea to control oil and give your hair a natural shine. Great for my kids and husband with short hair. Mine is quite long and really does need to be rinsed out with vinegar. My kids,husband just lather and rinse. Lathers really nicely, even with my long hair. Just about to order two more! This is wonderful. I was skeptical of buying it because of the "leaves hair waxy" reviews, but I am very pleased with it. A new favourite. Unfortunately this shampoo bar made my hair sticky and oily - it was great a few times but the product build up was terrible. Having said that, I did not wash my hair through with vinegar because I was skeptical of the smell and also trying to be waste free I didnt want to buy a plastic bottle of vinegar. I have very sensitive skin and unfortunately can’t use this product because I developed eczema on my scalp after a few washes. It also leaves a residue on my hair. I love this product, it took a few uses to get it right, need to build up a good head of lather and rinse thoroughly and your hair is squeaky clean. I don't even use a vinegar rinse. We have borehole water so I suspect that the type of water you have makes a difference. Sometimes it leaves my hair clean and sometimes it leaves my hair feeling oily. It does have a nice smell and is well priced, but unfortunately doesn't clean my hair as well as I hoped. Personally, I would rather splurge on a bar from Lush. This soap smells amazing. It did however not clean my hair very well. It left it with a funny texture and oily. I have been trying to go 'no poo' as well as cut down on my plastic usage and waste so am at a bit of a loss as what I should now do. Unfortunately, I spoke too soon. I was really hoping to like this product as I want to reduce my use of products packaged in plastic. The bar does lather but leaves a weird waxy look to your hair. Hair looks oily and even worse if you use a hairdryer. I will not use this again. I have very curly hair and this worked wonderfully. It foams really well and left my hair super soft without using any conditioner. Wax/Oil residue left behind is impossible to get out! I can't use this product, it leaves a waxy/oily residue on my hair that if I press my hair it sticks to my fingers. I have washed it 3 times with normal shampoo and swam in the pool and I still cant get it out. Really upset!!!! Works great as a shampoo! 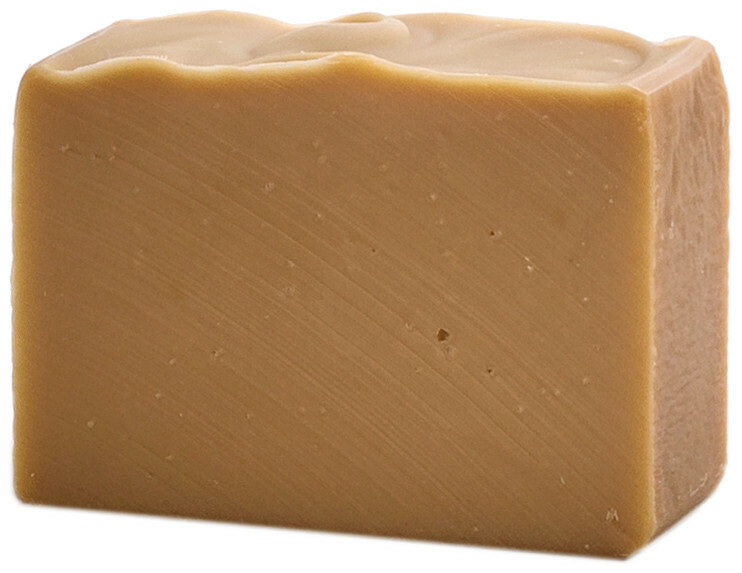 This shampoo bar works fantastically well and lathers brilliantly. My only reservation is with how to keep it looking pleasant... tends to get slimy if you don't take a lot of care to prop it up in a soap dish that drains well so it dries out between washes. Difficult when the whole family uses it. Really wanted to like this product but it did not work very well leaving a residue and my hair did not stay clean for long. At first this shampoo didn't last well - my hair was greasy again by the next day. It took a few weeks for my hair to adjust and to get used to getting it into all the right places. I have really thick hair so it's quite a job. But now I am a convert - it works well, especially with apple cider vinegar "conditioner"
Great product!!! and the prices doesnt hurt either. Works well and lathers enough. My first shampoo bar and I am hooked. Awesome Shampoo Bar! Delivers results just like conventional shampoo would. And lathers well. Awesome Shampoo Bar! It works just like normal shampoo and delivers the same results, without the plastic and toxic ingredients! I also, prefer it to the Lush shampoo bars which still have some synthetic ingredients that end up leaving my scalp itchy. Highly recommended, especially for oily hair like mine! I loved the smell of this product, but I bought it as a shampoo, and didn't really work for me. The "suggestion" of using a vinegar rinse is more like a necessity: without it, my hair stayed extremely waxy. So I decided to use it as a normal body soap, which actually works wonderfully. I love this shampoo bar. Makes my hair feel like brand new hair. I just love this! The apple cider rinse is definitely recommended though for best results, don't skip the rinse ;) . My hair has never felt and looked as good as it does since I started using this and the the rinse. Being in plastic free packaging, vegan AND cruelty free makes it even better.